After the last military checkpoint, which consists of a couple drowsy soldiers in a dusty palm-thatched hut indifferently waving you by, we turn onto the last long, flat, straight stretch of road that leads to Xcalak (pronounced Sh ka lak). There’s a ton of traffic. 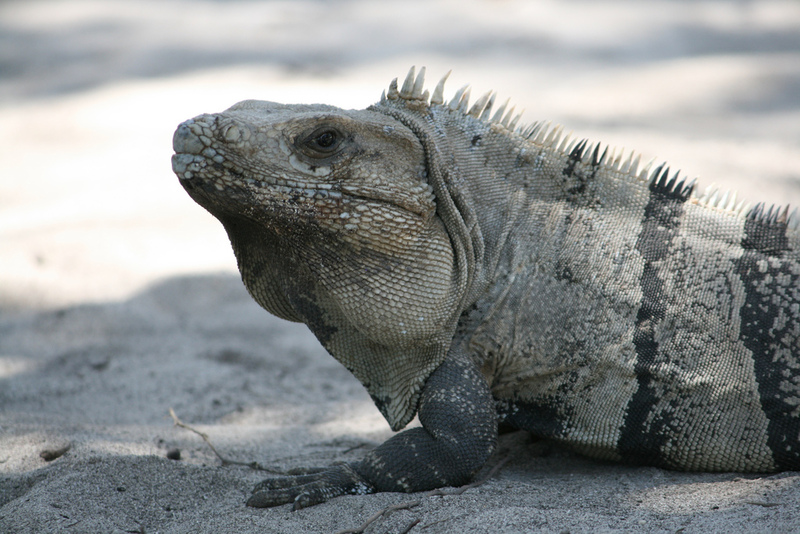 Iguanas swagger across in front of the car, a fox slinks into the brush and disappears, tortoises lumber along next to tarantulas, and giant fiddler crabs, thousands of them, scuttle out of the way, waving their one colossal claw as though beckoning you to follow. 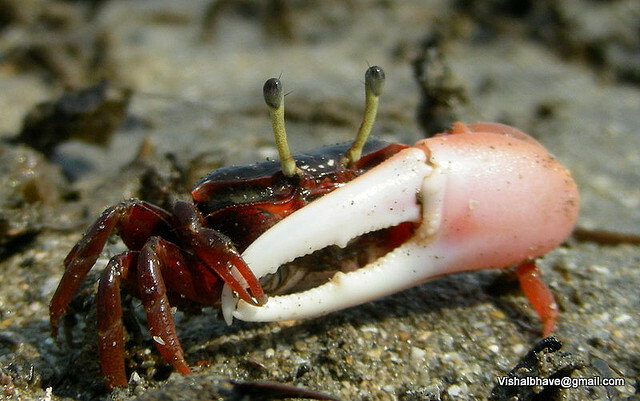 The sun-bleached asphalt is littered with the remains of crabs not so vigilant. We drive directly in the middle of the road, slowly, to avoid creating more easy pickings for the black vultures circling overhead, but since we’re the only vehicle for the entire 60-kilometer stretch, it really doesn’t matter. 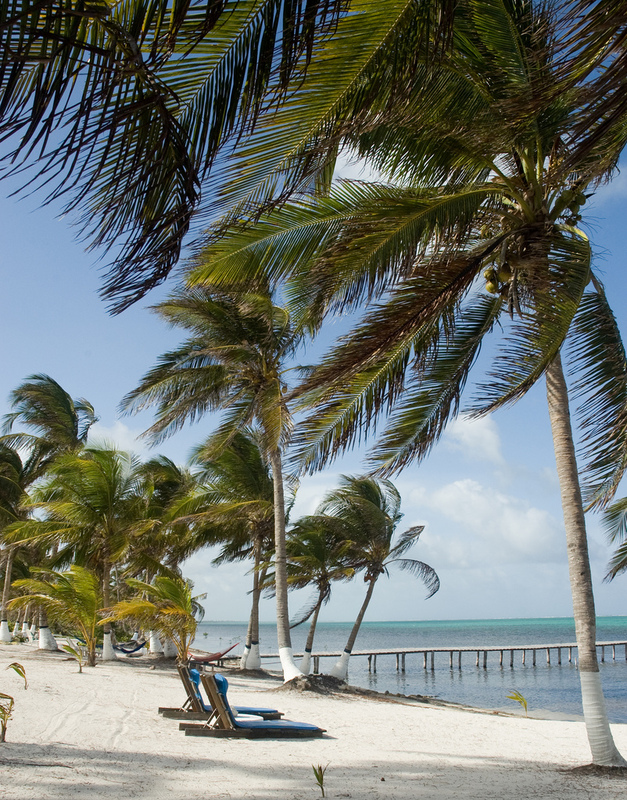 Xcalak, a half-horse town of about 375 somnolent souls, is the last stretch of sand before you hit Belize and Ambergris Caye. Sitting smack between seemingly endless mangrove swamp and spectacular barrier reef, Xcalak is home to a vast array of land and sea creatures; parrots flash green in the forest, spider monkeys swing through the trees, ibis and egret wade along the shore, caiman and the occasional jaguar lurk in the deep woods, and sea turtles paddle along the grassy shoals. Once one the largest towns in the state of Quintana Roo, a 1955 hurricane obliterated the place, leaving Xcalak to sleep in splendid seclusion as many of its neighbors to the north became tourist-corridor extensions of Cancun. Hotel Tierra Maya. The thatched building on the right is the restaurant. The pavement ends as we enter the village, and our rented VW Beetle bounces between the potholes as we obstacle-course our way through the crevasses and the crabs to our hotel. 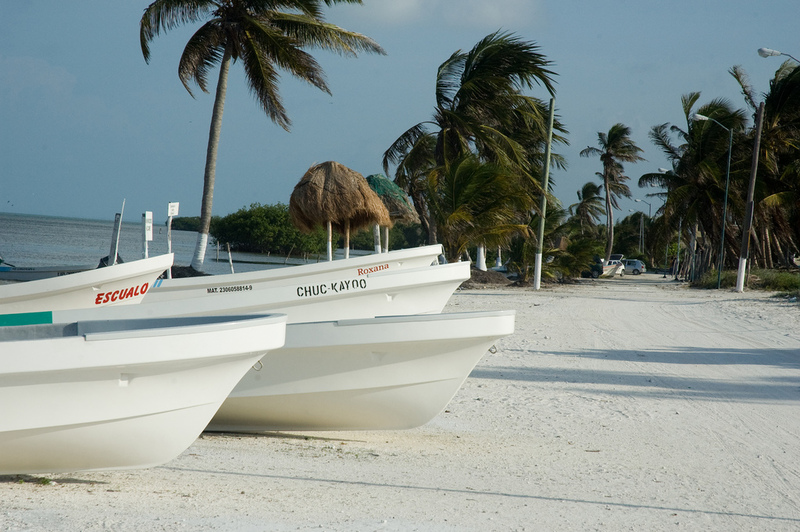 There are only a handful of places to stay in Xcalak, and one of the best is the Tierra Maya. All rooms are beachfront with balconies, ranging from $85 for a double to $150 for a luxury beachfront apartment (less in the off season), which includes a buffet breakfast of fresh fruits, homemade yogurt, breads, cereals, and a variety of fresh juices. Like most of the hotels in the village, the Tierra Maya derives most of its electricity from the sun, with solar panels providing uninterrupted 24-hour service. Water is collected on the hotel roofs and channeled into an underground cistern. Most everyone in town agrees the hotel has some of the best food going. Drop your bags in your room, grab a free kayak and your snorkeling gear, and paddle out to a buoy just offshore, where thousands of blue tang, butterfly fish, striped grunts, snapper, porcupine fish, and a myriad of others dart among the coral heads like the dancing tips of flame. 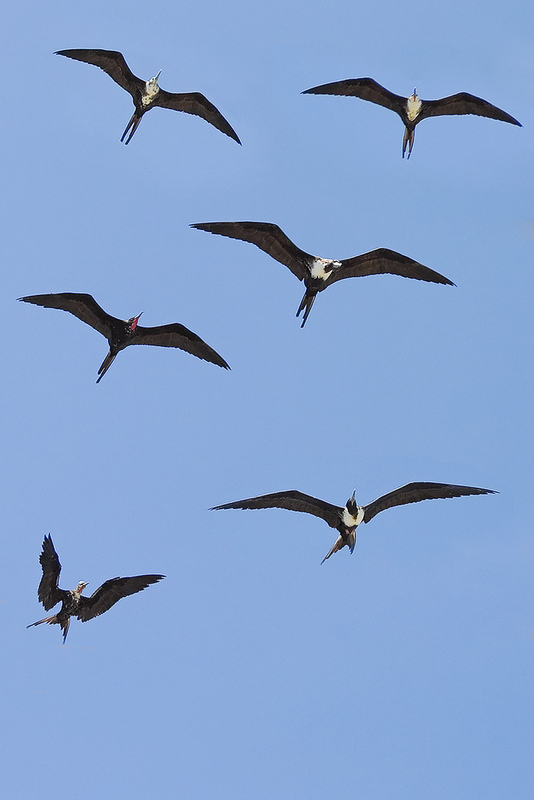 Drift back to the beach and curl up in a shady hammock or stretch out on the white sand to watch the pelicans skim the water and magnificent frigatebirds float overhead. If you want to spend more time underwater, Costa de Cocos just down the road toward the village arranges diving tours to the reef, as do Casa Carolina and the XTC Aventuras Dive Center. Prices at XTC start at $60 for one dive, with different packages available including an all-day, two-tank-and-lunch Chinchorro Banks (the world’s second-largest reef system) dive for $199. 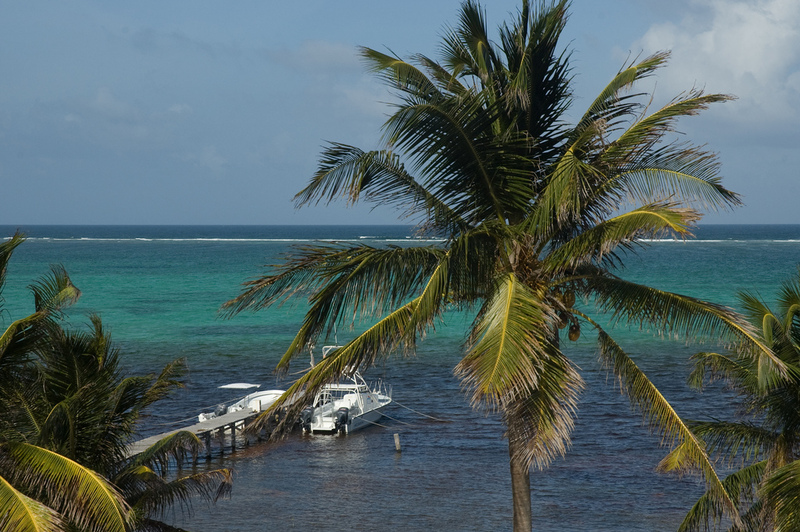 Just about any room you stay in in Xcalak is going to overlook the crystalline Caribbean a few steps away. Look out your balcony at any time and you’re likely to see shorebirds working the grassy shallows and colorful puffer fish cruising lazily in the almost impossibly clear water. Hotels can also help arrange fishing excursions to the area’s excellent bonefish, tarpon, and permit flats. Or if solitude is more your style, twenty-five dollars or so will get you a small boat with outboard motor for the entire day – perfect for hopping around the reef. Bring a lunch, slather on the sunscreen, and anchor in the sand on the protected side of the barrier reef for some of the best snorkeling on the planet. From horizon to horizon you’re likely to be the only speck out there, so you can peel off your bathing suit (if you’re one of those so inclined), and gently rock in your own Crusoe dreams (a reminder of that sunscreen for particularly sensitive areas). A note about the beaches. Although they are fringed with blindingly white sand and swaying palms, you need to wade out past the turtle grass to actually swim, generally a distance of about 5o meters. 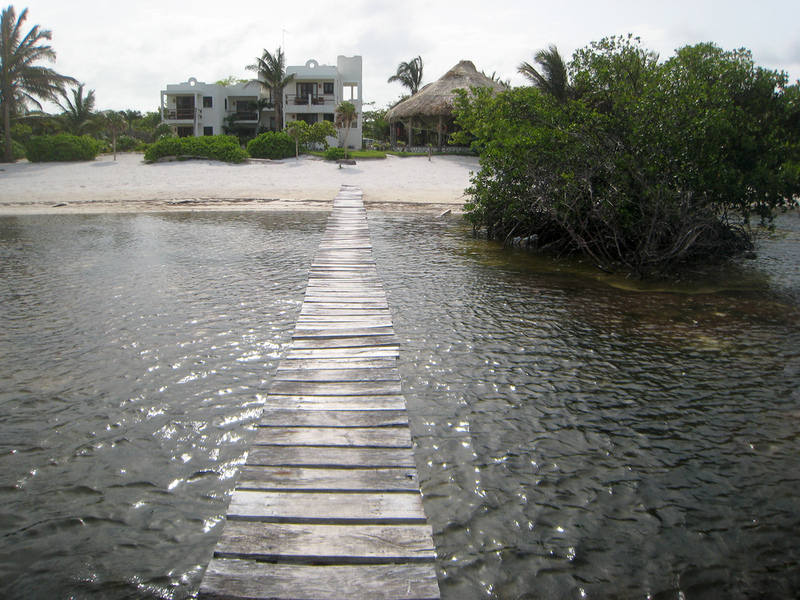 Some places have long docks that take you out past it, and some have cleared paths to deeper water. Alternatively, you can take a kayak and anchor up past the grass line. When the setting sun turns the sea to liquid velvet and dinnertime rolls around, chances are that at some point you’ll roll to Silvia’s Loncheria, a small screened-in extension of the owner’s home. We arrived at the darkened yellow and blue building and were sure, despite the sign, that we were in the wrong place. Not a sound came from inside the unlit dining room, so we tentatively called out for Silvia, not really knowing if ‘Silvia’ was in fact the proprietress or the tragic lost love of some surly Mexican sailor. Indeed, Silvia did in fact run the place, and was at that moment snoozing on the living room sofa. Her generator was down, so after a stretch and a scratch Silvia simply lit some candles in the microscopic kitchen and told us the day’s menu – fried pork chops, conch seviche, or grilled fish. At this point we were looking around the place with skepticism bordering on apprehension, wondering if perhaps canned beans and tortillas from the local mini-super might not be a bad idea. The food was fantastic. The pork chops were deep-fried for maximum fat-filled flavor, with lime and onion salsa, refried beans, and warm corn tortillas, and the fish was succulent and flavorful. Clearly Silvia could cook, so we settled back in complete contentment and watched the geckos scamper across the ceiling and the crabs side step along the floor. Don’t expect an extensive menu, but what it lacks in variety it makes up for in freshness. Hang out in Silvia’s long enough and you’re likely to meet the entire cast of characters in Xcalak, a place that tends to draw the slightly eccentric expatriate crowd, people willing to suffer through severe tropical storms, frequent power outages, occasional poisonous snakes, and extreme isolation. And even though you’ll see ‘Property For Sale’ signs tacked up on countless coconut trees, over a decade ago the locals asked the Mexican government to declare the area a National Park, and in 2003 approximately 17,949,456 hectares (some 44,000 acres) both onshore and offshore were put under protection. This means that Xcalak will never look like Cancun. Thank God. Isn’t easy. There are cheap flights to Cancun, where you can rent a car and drive south about 6 hours. This actually isn’t a bad option, since you can break up your trip for a night or two in the stunning Mayan city of Tulum. Alternatively, you can fly into the city of Chetumal, which is still about a 3.5 hour drive and will cost you 3-4 times as much as the flight to Cancun. Yes, Xcalak is out of the way, but that’s one of the things that makes it so special. NB: Although it’s been ten years since we’ve visited Xcalak, this is a place just too good not to share, and all of the information here is up to date. None of the photographs which appear in this article were taken by us (we visited pre-digital days and haven’t had our photos converted) but these obtained from Creative Commons are representative of what we saw. Xcalak is a really special and beautiful place. So glad it won’t ever look like Cancun or Playa del Carmen! I’ve visited several times and every time I love it more. I couldn’t agree more with our Kanji. 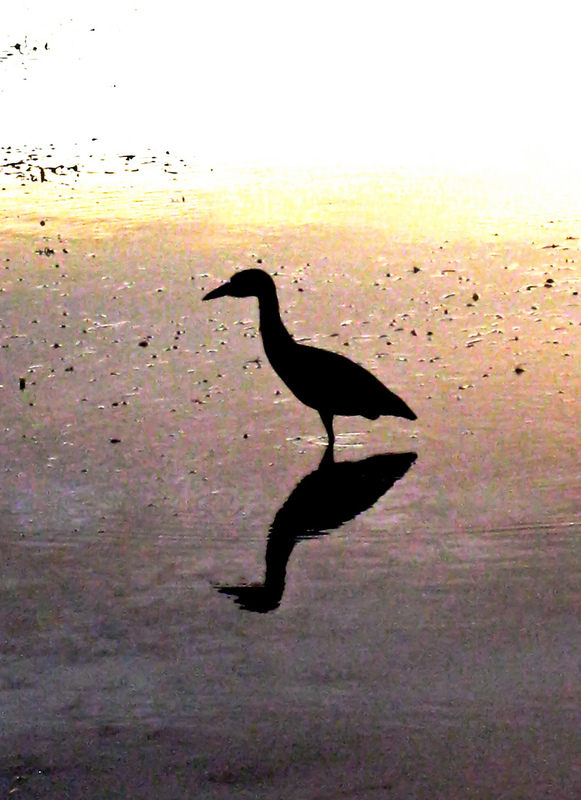 blog posts as long as I provide credit and sources back to your weblog: http://fieldnotesfromfatherhood. thanks, my daughter is being married here in a couple of weeks. Good to read more about it. Xcalak is a great place; but much has changed in 10 years. I fail to understand your need to ” publish” with 10year old observations. The tone and general accuracy of the article , however is pretty good. Thanks for your comments, David. I wrote the article because Xcalak is a wonderful place and I wanted more folks to know about it. Although you say the “accuracy of the article” is “pretty good,” you obviously take issue with some points, not least my “need to publish.” It would be great if you could provide some updates so that we could share in your more recent knowledge. What’s going on there these days?